Want tats but can't commit? Here's your answer to that dilemma! 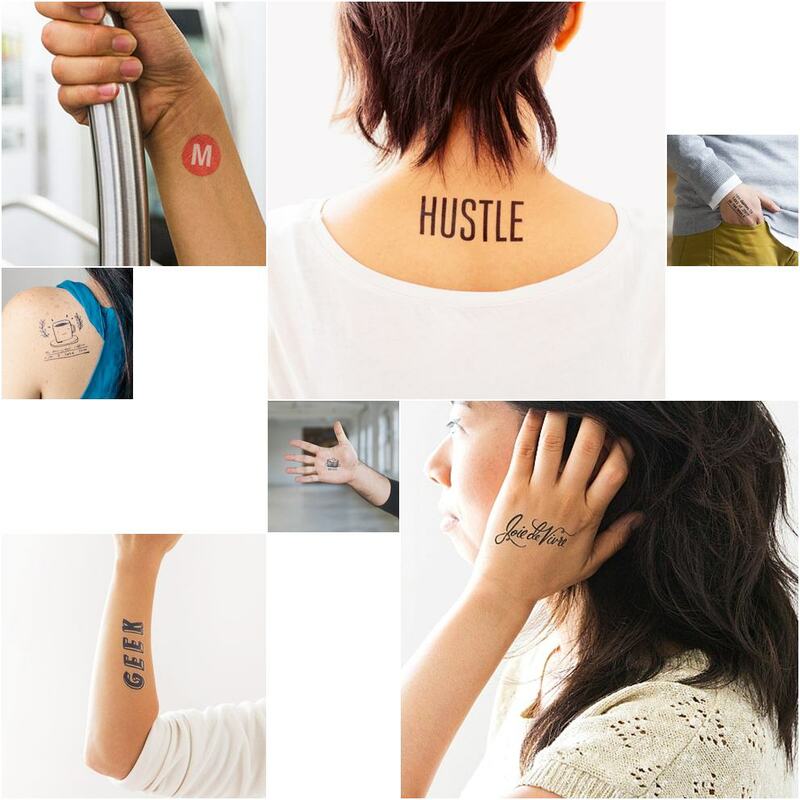 Tattly, as the name suggests, is a brand of temporary tattoos designed by professional artists such as Timothy Goodman. I love Tattly's designs!!! Obviously, my favorite is typography; second best is food. I recently bought the French Clarendon to quell down my indecision regarding a new ink. I've been putting it on hold since last year because I don't know where to put it. I'll go for the nape this time around.